Transneft Diascan and Transneft have become right owners of a patent for the invented Flaw detector axial magnetisation magnetic system for the inspection of thick-walled small diameter pipelines. 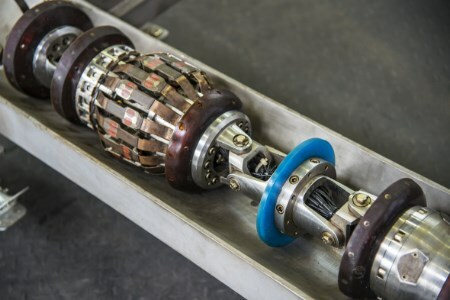 The protected technical solution is designed to expand the operational capabilities of the magnetic system during inline inspections due to a reduction of its diameter. The structure of the magnetic system enables the flaw detector to pass pipeline’s bottlenecks and bends. The axial magnetisation system may be applied to inspect 6 in. pipelines with the wall thickness of 14 mm to identify transverse defects of the pipe and inspect circumferential welds. The invention is to be used in various types of inspection tools: magnetic, combined magnetic and magnetic-ultrasonic, both single-section and multiple-section flaw detectors. Transneft Diascan is a hi-tech science-driven business with a sophisticated sci-tech base and high innovative potential. To date, Transneft Diascan’s intellectual property comprises over 140 titles, including utility and invention patents (both Russian and foreign ones), certificates for computer and database software.